Back to this very delayed Cinnamon Roll in a Mug. It is so easy to make. It literally takes a minute or two to form and about fifty seconds to cook. 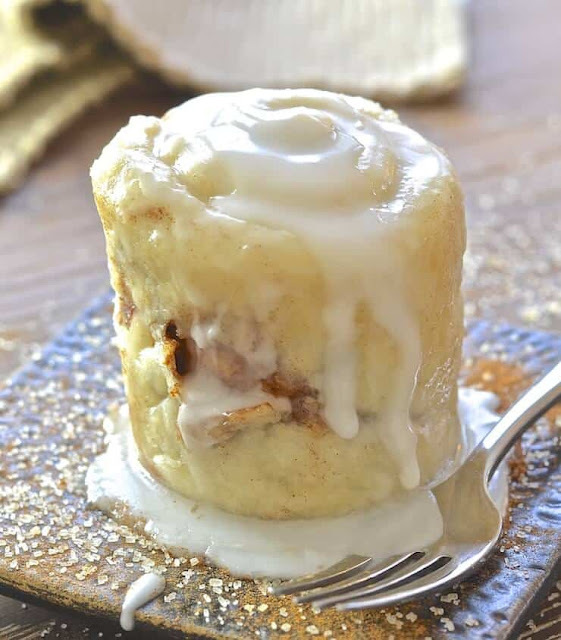 Once it’s cooked, turn it out onto a plate and admire it’s cinnamon roll beauty for a second before anointing it with a generous dribble of frosting. Then tuck in immediately. Don’t keep it hanging around. It is best eaten right away because once it cools it gets a bit tough. The roll itself is not overly sweet, although you could add sugar to the actual dough if you wanted to make it a little sweeter. With the addition of the frosting though, the sweetness is perfect ! 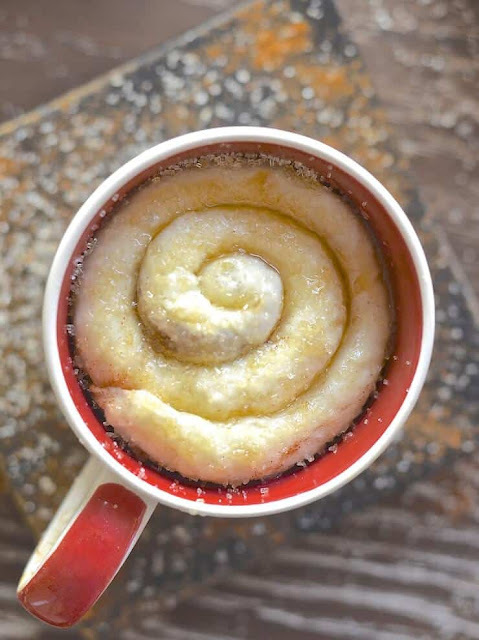 If you have a mug, a microwave & a spoon you can make this single serving One minute Cinnamon Roll in a Mug. It's so easy & perfect for when those sweet cravings hit & you NEED dessert, like now! Turn out onto a plate and spoon over the frosting.